Pending government approval, Delta Air Lines will begin offering a new daily nonstop flight between New York’s John F. Kennedy International Airport (JFK) and Rio de Janeiro, Brazil. Providing that the U.S. Department of Transportation (DOT) grants the go-ahead, the Atlanta-headquartered carrier will start flights on Dec. 21, 2017 from JFK to Rio de Janeiro’s Antonio Carlos Jobim International Airport (GIG). Delta’s (NYSE:DAL) strategic alliance with GOL Linhas Aereas Inteligentes will extend the reach of the new service to 23 destinations within Brazil and provides seamless connections to other destinations. Proposed flights will depart JFK daily at 9:24 p.m., arriving in Rio at 10:30 a.m. the following morning. Return flights will depart GIG at 10:15 p.m., arriving in New York at 5:36 a.m. the following day. 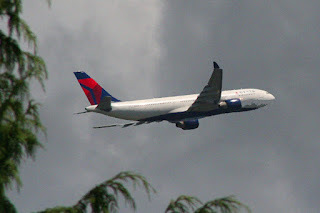 The GIG-JFK route will be operated using a Boeing (NYSE:BA) 767-300 aircraft with 35 Delta One full flat-bed seats with direct aisle access for every passenger. The 210-passenger aircraft also includes 32 Delta Comfort+ seats and 143 seats in the Main Cabin. According to SeatGuru.com, Delta One seats are 21 inches wide with 77 to 81 inches of pitch. Comfort+ seats are 17.9 inches wide with 35 inches of pitch while standard economy seats at 17.9 inches wide with 31-32 inches of pitch. The aircraft offers oversized personal entertainment screens with access to the on-demand in-flight entertainment system. Delta customers flying on Delta One will also be offered industry-leading food choices with Latin-inspired meal selections by Chef Michelle Bernstein, paired with elegant wines chosen by master sommelier Andrea Robinson. Other improvements include the introduction of new sleep kits and several other upgraded amenities for passengers seated in the main cabin on flights to and from Brazil. Other product initiatives being rolled out across Delta’s international fleet include the expansion of its Wi-Fi service. Elite customers and passengers flying in Delta One through New York-JFK and Rio de Janeiro-GIG will also be able to experience the 24,000 square-foot flagship Delta Sky Club in JFK’s Terminal 4, the biggest club in Delta’s system, and a recently opened GOL VIP lounge located in GIG’s Terminal 2. Once approved, these flights will be available for booking through the airline’s website.